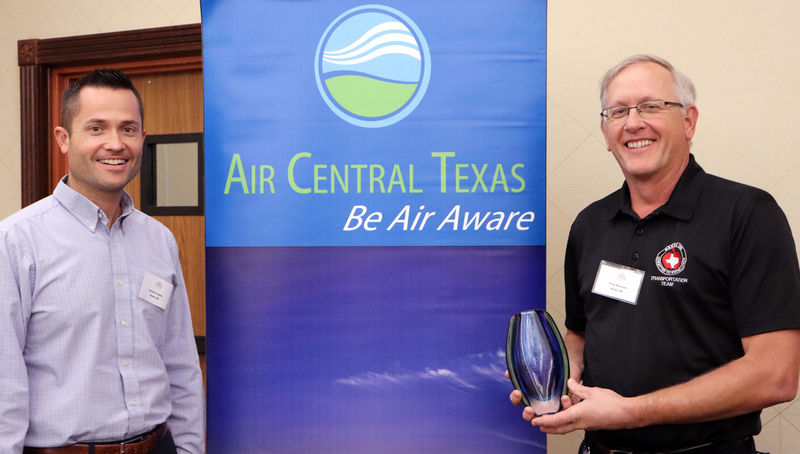 Air Central Texas Outstanding Organization Award - recognizes an activity by an organization that has exhibited exceptional leadership on regional air quality issues within the past year. From left to right: Clean Air Coalition Vice-Chair Hays County Commissioner Ray Whisenant, Ann Hatton from Leander ISD, Jeremy Trimble and Fritz Klabunde from Eanes ISD, and Anton Cox from CAPCOG. Leander and Eanes ISDs received the 2018 Air Central Texas Outstanding Organization award for their adoption, leadership, advocacy, on propane-fueled school buses. The conversion of a diesel school bus to propane is estimated to reduce Nitrogen Oxide (NOx) emissions by 1,488 pounds of NOx annually, and combined the ISDs are operating over 80 propane school buses. They were nominated by Lone Star Clean Fuels Alliance. Pharr Andrews former City of Austin Air Quality Program Coordinator with the Bill Gill Central Texas Air Quality Leadership Award. 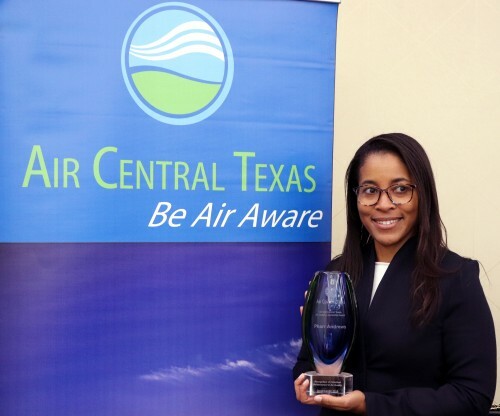 Pharr Andrews, City for Austin received the 2018 Bill Gill Central Texas Air Quality Leadership Award for her career at the City of Austin’s Air Quality program serving as the program’s coordinator. Andrews' helped develop of each of the region’s air quality plans, served on the Clean Air Coalition Advisory Committee including time as the committee's chair, helped transfer the Commute Solutions Program to CAPCOG, and supported major public outreach campaigns including the creation of CAPCOG's Air Central Texas Program and the CLEAN Air Force's outreach to local meteorologist. Pharr was nominated by her former co-workers at the City of Austin's Transportation Department. 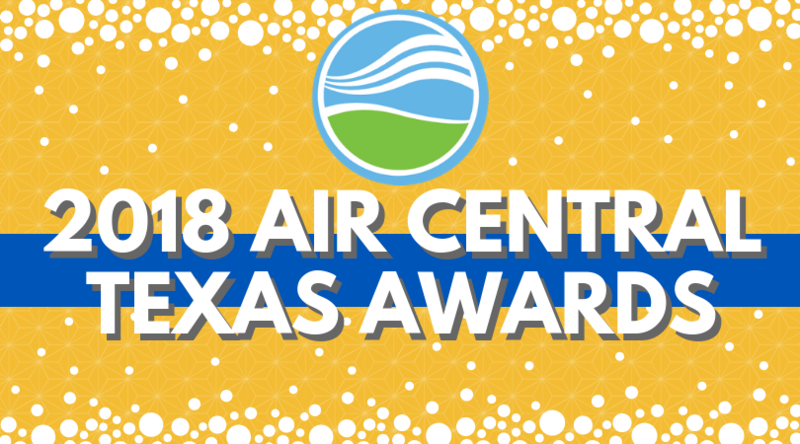 A panel of local elected officials from the Central Texas Clean Air Coalition (CAC) reviewed each application in early November to select the winners. 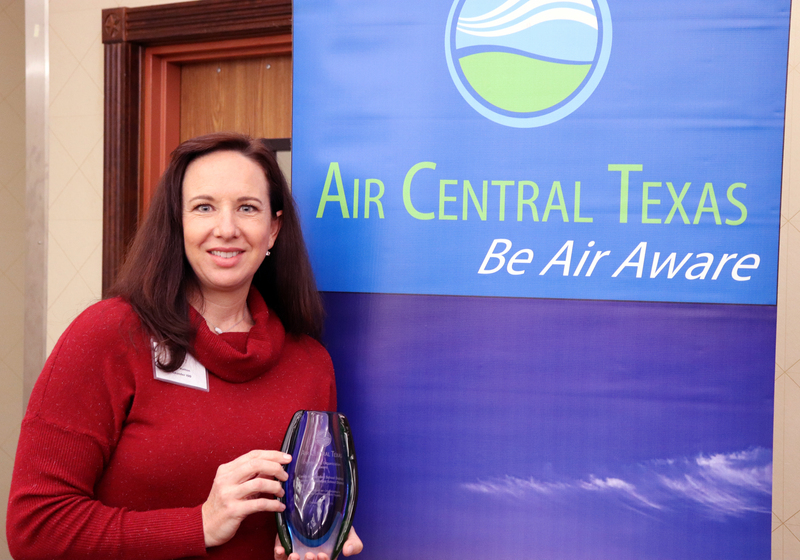 Air Central Texas announced the winners at the CAPCOG General Assembly Meeting on December 12, 2018.